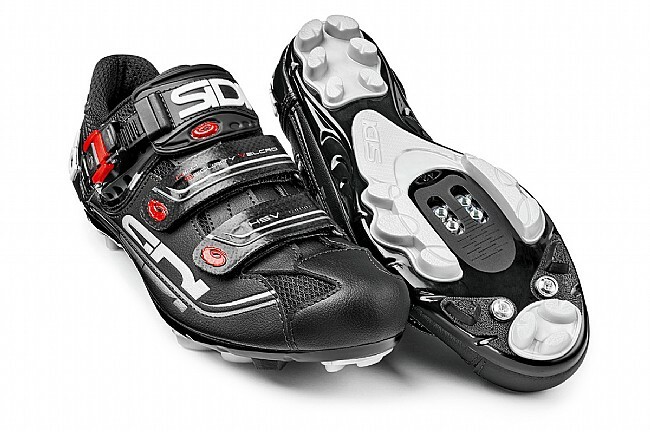 From the cyclocross course to the XC trail, the Sidi Dominator 7 Mega MTB Shoe gives riders with large volume feet the supreme comfort and performance that has made Sidi legendary. Shaped on their Mega last, this wider version features a higher instep and larger heel cup, and it's 4 mm wider across the ball of the foot than the standard model. Secure yet easily adjustable retention is made possible thanks to the micrometric Caliper buckle and two high-security Velcro® straps. The Soft Instep 2 Closure System® is comprised of a padded strap over the top of the foot that eliminates pressure points and prevents discomfort once the shoe is secured. 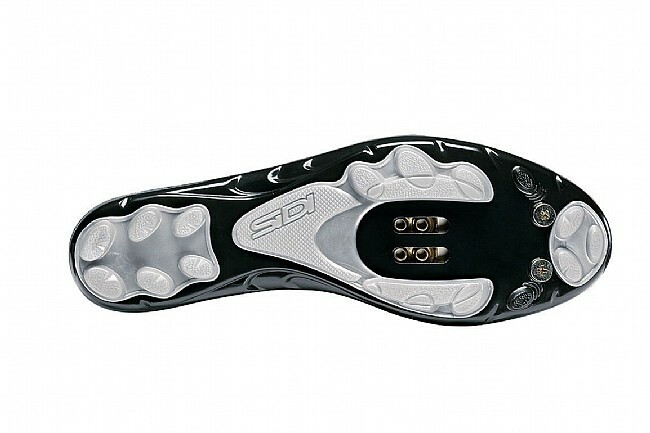 Sidi's Competition lugged MTB sole is made from nylon for extended wear resistance, rigid performance and excellent traction on a variety of surfaces. The upper is done in abrasion-resistant Microtech, a supple yet strong synthetic material. 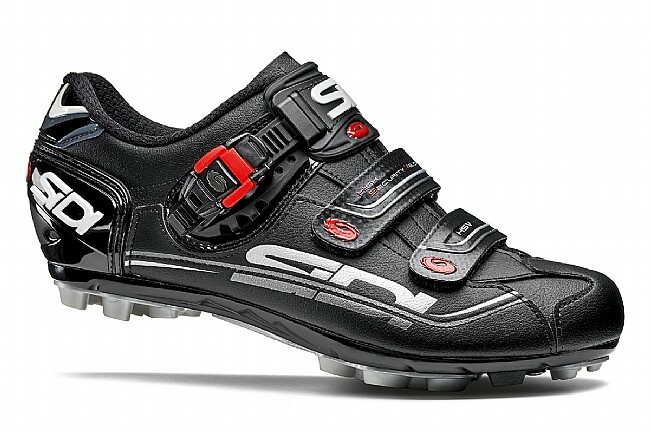 Compatible with standard two-bolt mountain cleats and optional toe spikes (sold separately).